Tangerine Dream were the fourth band I saw live, way back in October 1975 At Birmingham Town Hall on the Ricochet tour. Three German men in their early 30s played strange banks of keyboards in semi darkness and created some quite astounding aural magic in the process, I was captivated by it all, and indeed still am now some 42 years on. 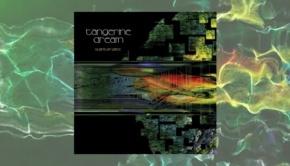 Whilst much has changed, multiple line-ups and numerous different labels later one thing remains constant in that the music created under the Tangerine Dream banner still shimmers and shines brightly as a thing of beauty and as am ongoing, ground-breaking and profound musical statement. 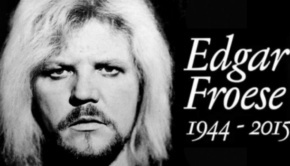 Initially after the remaining founder member Edgar Froese died in January 2015 I thought that was it, curtain down, but old Edgar had prepared for his demise by instilling in the new band, comprising Thorsten Quaeschning, Ulrich Schnauss and Hoshniko Yamane, a series of ideas that would enable the vision to continue for a undetermined period as they explored his Quantum Theory experiments in which Edgar sought to give a musical voice to the current understanding of Quantum Physics. The recently released new album, Particles, is the second chapter in that voyage – the first, Mala Kumia, being released in 2015 with the next, Quantum Key, due in September 2017. What happens after that is open to debate although Quaeschning says that Edgar has left unfinished music, writings and sketches for more to follow, so time will tell I guess. For now though, let’s concentrate on the current release. Firstly, Particles is a double album, one disc live, the other newly recorded, including a couple of re-visitations along the way. The first ‘Poste Froese’ music is a totally new 27-minute piece, recorded in a live session at Dieter Dirks studio in Pulheim, which raises the temperature with a return to the sound of the band’s Virgin years. It’s an unravelling composition in which you can hear many echoes of their glorious past, the steady pulsating beats and sequences, all the trademarks of classic Tangerine Dream, making for a great listen and something of a return to form after many years of inferior material. 4.00 pm Session sparkles with excitement and represents a glimpse of a promising direction for the band now. Edgar my be gone but his influence is felt very heavily here and one feels that he would approve of this piece as a continuation of his vision for the band. Second piece, Stranger Things, is a Tangerine Dream version of the theme music for the Netflix TV show of the same name, which is itself inspired by TD. I will let you draw your own conclusions on this as I’ve not seen Stranger Things so don’t know the source material well enough to make any comparisons. However, the third piece is a re-recording of the TD classic Rubycon which probably needs little or no introduction, a seminal piece and very influential for electronic music since it was released in 1974. This version adds nothing significantly new to an already classic piece, but it is a good re-visitation and shows just how advanced and visionary it was when it was written and recorded all those years ago. This incarnation of the band have produced a faithful recreation of those magical sounds, incorporating them in such a manner with their own writings as to show great continuity and honour to those earlier times. Disc 2 features five pieces recorded live at a festival in Swingungen am Wasserfall in Windeck, Germany on 3rd September 2016. Three are new compositions, two of which were written by Edgar Froese, while two are new recordings of White Eagle and Dolphin Dance from much earlier in TD’s career. Starting with the first new piece, Flowers of Rain opens in typical form with expansive floating keyboard washes before a crashing synth burst kicks in. This is an expressive mid-paced track that shows how this latter day version meld together to create something both new and yet oddly familiar before a bass riff is added with percussion to create a deeply satisfying ensemble wall of sound with individual elements still clearly audibly in the mix. This must have been an awesome opener for those in attendance as it is an enthralling piece, especially with the guitar lines of Thorsten Quaeschning floating effortlessly over the top of everything and sounding majestic, powerful and alluring all at the same time. 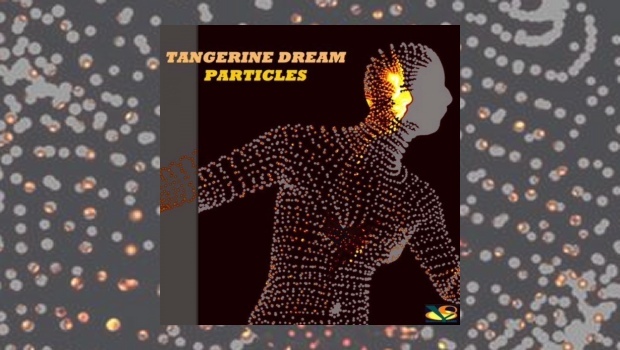 I have to say this is a very impressive live CD that shows that fans of classic Tangerine Dream can welcome and endorse this continuation of the band with confidence, their heritage is in very safe hands and we can look forward to more exciting new music to emerge in the coming years. Particles is an excellent release that improves with continued exposure and I recommend it to all TD fans without hesitation.